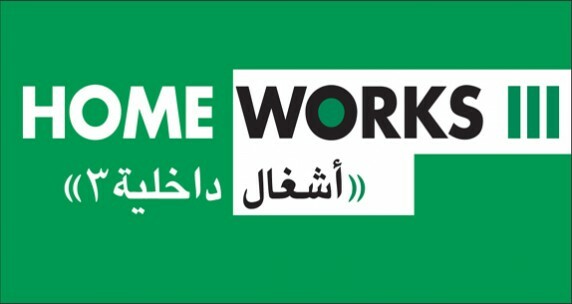 Presented in 2005, the third edition of the Home Works Forum was a reflection on the notion of our presence in this world, reconstituted in narrative and representation. We must assert the fact that we are not merely a face caught on a security camera, a stamp on a passport, a fingerprint filed in a court, a visa denied, a stereotype confirmed, or a silent misunderstanding hardened into an unspeakable fact. Our faces do not implore to be saved; our faces are beautiful. For years he has been haunted. He wakes up every morning, snatches up all the local newspapers in Beirut, rushes to his office, perches himself over his desk and commences his excavations. He sifts through every last newspaper, gleaning here a headline, there a caption, a line or parody on RS. He starts by highlighting his boxes, parsing the pages, coming through the intricacies of the paragraphs, dissecting pages upon our faces. For years I have watched him collecting newspaper cutouts, dating them with severe punctuality. For fear of being unfaithful to daily events, he has selected, compiled, dated and stockpiled it all in a notebook; a notebook that suspends facts from everybody; a notebook full of history’s gaps. Aren’t we subject to history’s gaps? Don’t we too participate in producing them, in piercing them in our timelines? How we enjoy history’s hysteria; how fond of it we are. The knowledge notebook grew vigorously; pages bloomed from its thresholds, heading nowhere. I began to fear Rabih’s pages — pages of knowledge, of data, random information, obsolete records. Seated amongst the audience, he rifles through the pages of his notebook. His image tucked away on the theatre platform competes with his other, seated one. Unsure of what to make of the two images, I am taken over by unrest and anxiety. I tremble, shiver: He cannot be reached. Both are ghostly. Yang Zhenzhong Critical Art Ensemble.